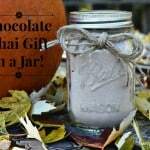 Chocolate Chai Gift in a Jar! Tis the season to go to parties and events! I think it’s so thoughtful when guests bring a little gift for the host/hostess. A nice bottle of wine and fresh flowers are great ideas to offer the party-thrower. I always like to be a little different, and I love unique gifts, so I decided to make a Chocolate Chai Gift in a Jar to give to our hosts on Thanksgiving! If you haven’t had chai before, you definitely need to give it a try! It’s kind of an acquired taste – very different, but very soothing. The beauty of chai is that it contains lots of healthy ingredients! 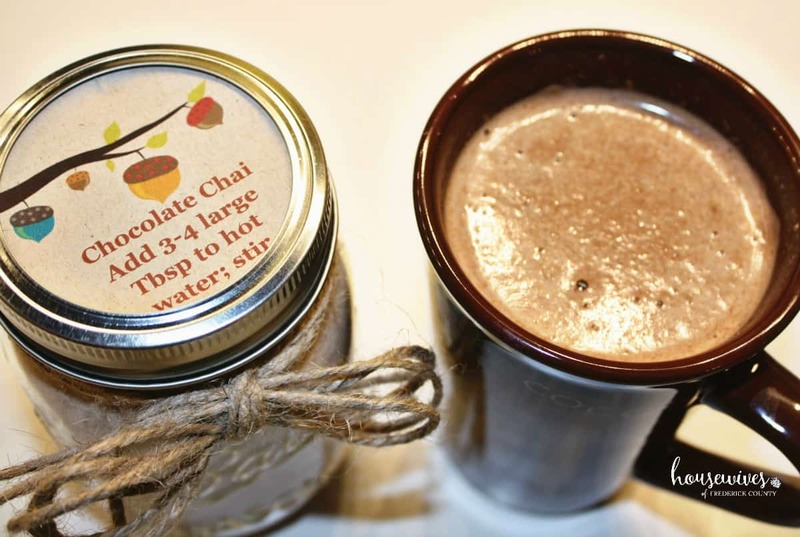 There are LOTS of recipes for chai that I was able to find online, but I didn’t find many for chocolate chai. 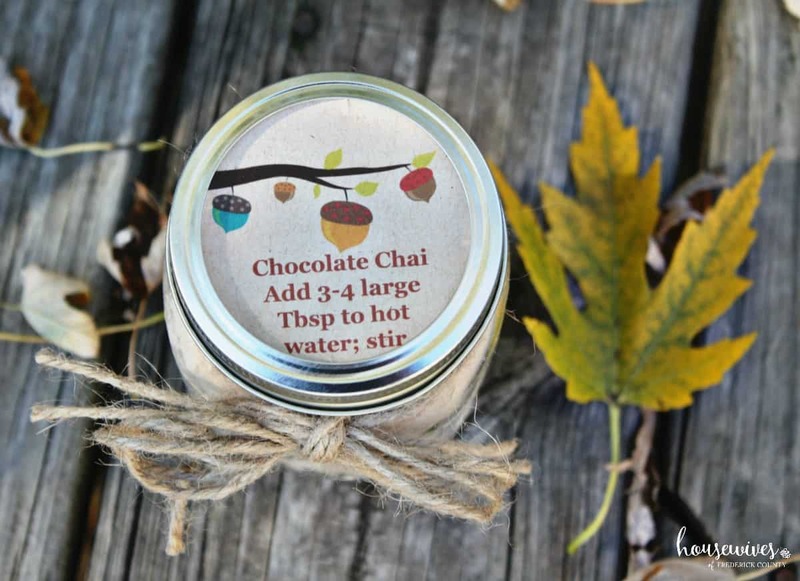 So, to stand out a little from the crowd, I will share with you how to make a Chocolate Chai Gift in a Jar! In a large bowl, mix together the dry milk powder, instant tea and spices. Transfer to a blender or food processor, and blend until finely ground. This may take a few minutes. Once the mixture is finely ground, there will be more space in the blender. Add powdered sugar, brown sugar and cocoa powder. Turn on blender, and blend until mixture is completely smooth and well incorporated. If necessary, turn the blender off and mix well with a spoon or spatula, and blend again. Transfer mixture to mason jars. 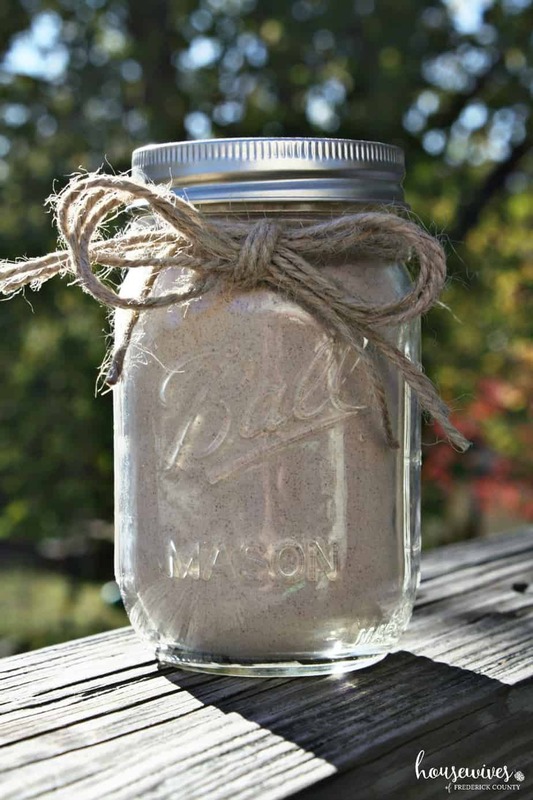 Decorate the jar with a ribbon, twine, and add a label if you'd like! All your recipients will need to do is add 3-4 tablespoons of the mix to a mug of hot water and stir! 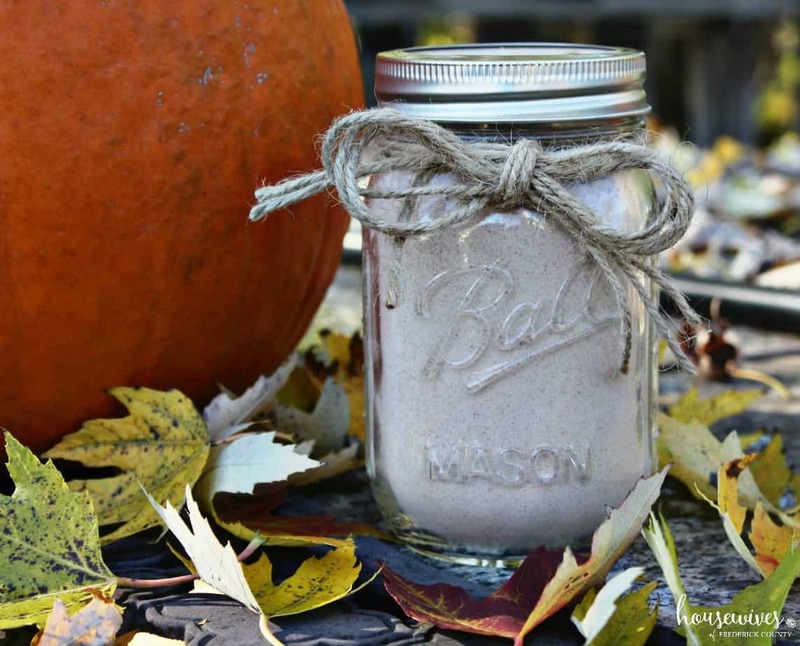 This recipe fills 3 pint sized mason jars with a little left over. A note about this recipe – I was unable to find unsweetened instant tea in either of the two grocery stores I looked. So, I ended up using raspberry flavored instant tea in mine. It made it a bit too sweet, so I went back and doubled the amount of unsweetened cocoa that the recipe asks for. It would be ideal if you can find unsweetened instant tea! To decorate my gift in a jar, I got some twine from a craft store and tied a bow around the jar. I also went to an office supply store and got a pack of Avery Print-to-the-Edge Round Labels (2 1/2″ diameter; Kraft Brown). I went online to avery.com/print and followed the directions to pick a template for my label, and I was able to add my own text! After you print your label(s), and you’re ready to apply it to the mason jar lid, be sure that the outside of the lid doesn’t end up covering up your text (lesson learned over here!). I’m pretty pleased on how it turned out! 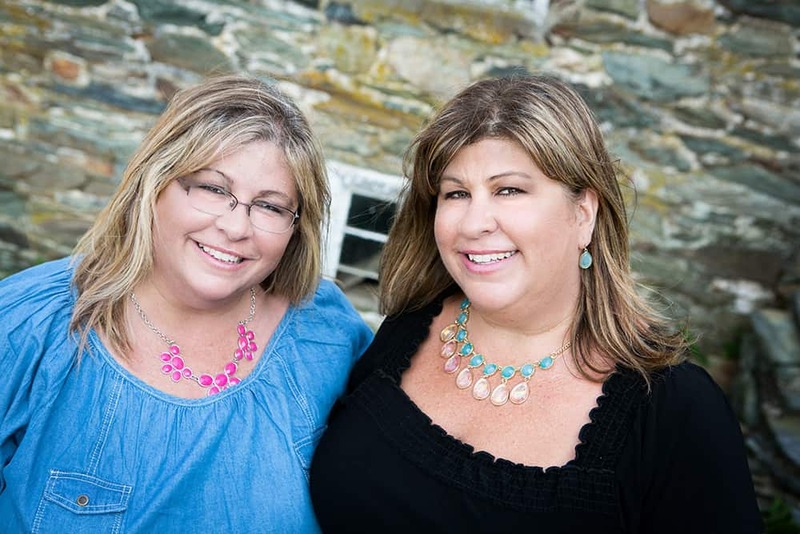 It’s relatively easy to do, and it’s a thoughtful, homemade gift! Have you ever tried chai? If so, tell us in the comments where you’ve had it, and if you have a special recipe!